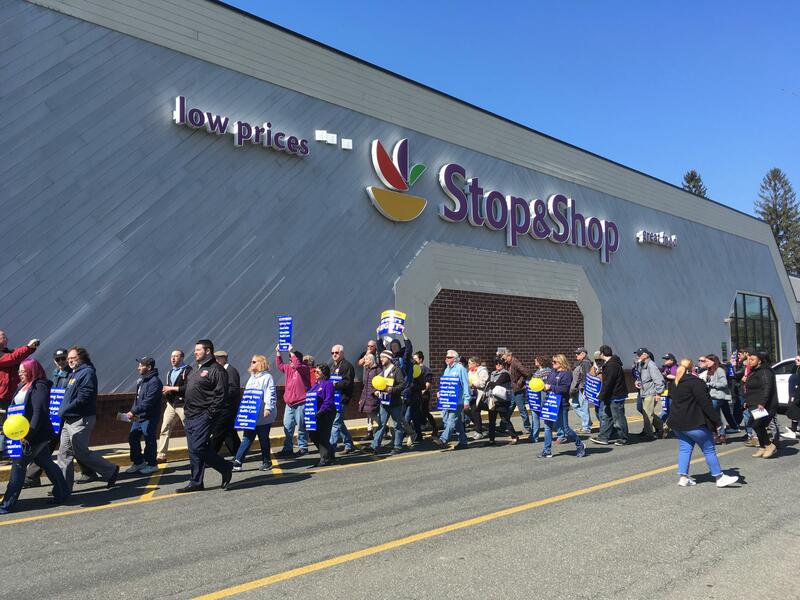 After Weeks With No Contract, Stop & Shop Workers Rally In Mass. Stop & Shop employees and their supporters gathered in the corner of the parking lot, next to a giant inflatable rat, a common sight at union protests. They mocked Stop & Shop's non-union competitors, and the company's recent contract offers. ﻿Maria Pauly, a part-time employee at the Chicopee store, said she has worked for Stop & Shop for 10 years and loves her job. But Pauly said she feels like she's been "kicked in the face by a company [she's] very faithful" to. "They're a multi-billion dollar company that we are the face of," she said. "I just don't understand. It hurts." All five United Food and Commercial Workers Union locals in New England representing Stop & Shop employees have voted to authorize a strike if talks stall. Those at the rally chanted they want a contract now, or "shut it down." In a statement, Stop & Shop insisted its most recent offer would increase pay for full-timers and keep a pension in place, although the company has acknowledged it's asked employees to pay more for health care. Both sides confirm that contract negotiations will resume next week. After speakers addressed the crowd, Stop & Shop workers and their supporters marched to the front of the store, chanting their demands for a contract deal. 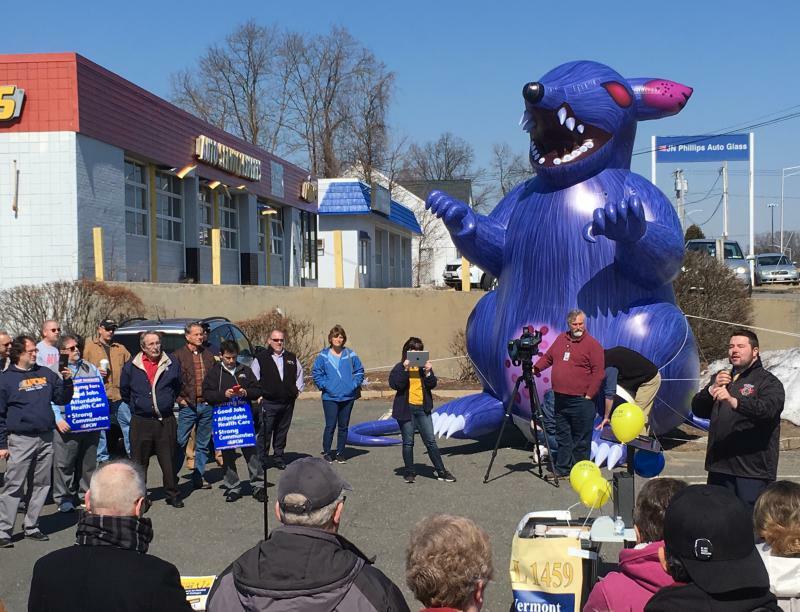 With a giant inflatable rat in the background, Springfield City Councilor Jesse Lederman (right) addressed the crowd at the rally outside the Stop & Shop in Chicopee, Massachusetts, on March 20, 2019.